the tea plant has initially spread from Yunnan across other south east Asian countries and countries of the greater Asian sphere, before conquering places all over the world. But does this mean that we’ll find the same tea plant in all of these places? Of course, not. This is because we owe the diversity of teas to choose from only partly to different cultivation and processing processes. What is just as significant for the vast offer of different teas available is the great diversity of existing tea plant varieties and cultivars. Camellia Sinensis has two properties that contribute to the uniqueness of the tea plant among crop plants. The one is the sheer age tea trees – the ancient form of the tea plant – can reach. So, in the so-called “cradle countries” of the tea plant, there are specimen whose age is assessed with several thousand years. Therefore, whoever looks with awe at millennium-old oak trees, might understand, why 3000 years old tea trees inspire the people sharing their habitats to believe in the existence of mighty forest spirits and practice dedicated rituals. The second property making the Camellia Sinensis that unique is its ability to adapt and transform. This is the property that is responsible for the emergency of individual tea plant varieties. 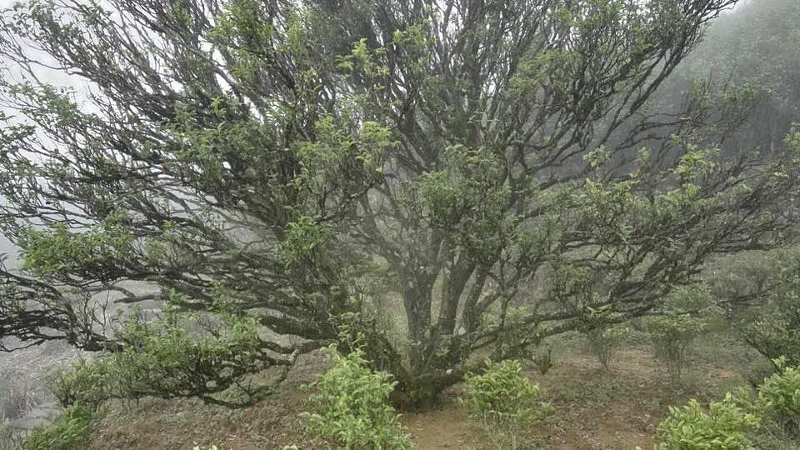 This way, the ancient tea tree on its evolutionary path within China has taken on a new face in virtually every conquered new place. At this, climate, soil and geology – in short: the total of environmental conditions – decide about which face the tea plant will show in each individual place. And the changes involved are by no means limited to such of external nature. Rather, it is the individual composition of active substances that makes each tea plant variety so unique for us. Because each individual composition of active substances effects an individual taste of the resulting tea. As a variety, we refer to a tea plant type that has formed due to natural evolutionary processes. A cultivar, on the other hand, in the narrower sense is always the result of targeted human cultivation efforts. However, in the common use of language, the dividing line between the two terms gets blurred. Often enough, they are even used synonymous. Take a tea plant, move it to another geographic location, and – earlier or later – you’ll receive a new variety? Well, the diversification of the portfolio of existing tea plant varieties isn’t that easy, after all. That is because not every tea from every tea plant and each location will prove to be tasty. For example, many countries, among them Kenya, Russia and some south American countries, make the experience that most of their tea – irrespective of varietal or geographic origin – will go into tea blends. In their pure form (“single variety”), on the other hand, they make rather few friends among tea lovers. However, what I just described as a rather negative experience also works in the positive way. Namely, given a basic understanding for the involved processes and the influence of individual factors, a targeted development of specific tea cultivars in orientation at given requirements profiles is entirely possible. Taiwan provides for a very good example for this. There, specialists develop particularly pest-resistant or specifically climate-adjusted tea cultivars in dedicated, country-wide spread experimental stations. The impressing results do not only find utilization in the national tea cultivation, but also make the tea plant one of Taiwan’s most esteemed export goods. In the following, let’s relate some the world’s most famous teas to their corresponding varieties and/or cultivars. In principle, it is possible to process any tea variety’s leaves to green tea, and to some extent this is also what is done. For example, making green tea from tree varieties of Camellia Sinensis might be rather untypical in China. Nevertheless, Yunnanese tea farmers also produce “Dian Lǜ Chá“ (= Yunnan green tea) from Yunnan’s tea trees. These, however, are much less prominent than “Dian Hong Cha” (Yunnan black tea). As it appears, each specific variety – or cultivar – has a specific “suitability” or “preference” for the type/s of tea to be made of it. 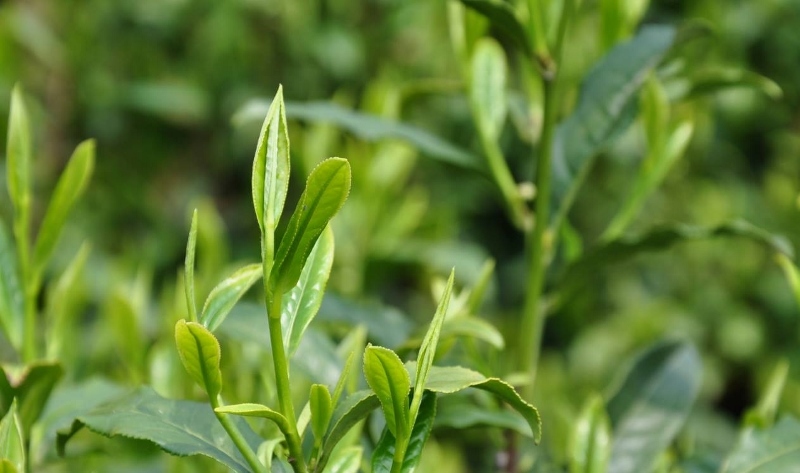 The great majority of popular Chinese green teas and pertaining cultivars is at home in the eastern Chinese provinces Zhejiang, Fujian and Jiangsu. Beyond that, we find specific “green tea varieties” in the provinces adjacent in the west, such as Anhui, Jianxi and Henan. 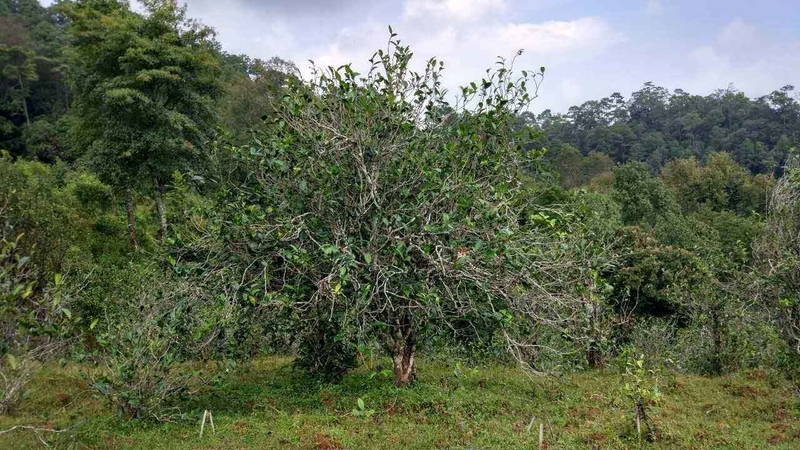 But the further we go west – direction Yunnan – the greater the share of large-leaf tree varieties of Camellia Sinensis becomes. And the rarer varieties that are predestined for green tea processing. Because of its pleasant chestnut aroma and long tradition in China, Long Jing Tea might just be the world’s most famous Chinese green tea. Even in China itself, it enjoys a reputation as the No. 1 among green teas. Long Jing comes from Hangzhou, in the Chinese province of Zhejiang, where it is made from the cultivar with the same name. Only Long Jing tea that comes from that region, can claim the designation as Long Jing tea. This is because tea from the same cultivar in another place might not show the same taste pattern or other features that are typical for Long Jing. The modern times (re-)discovery of the variety behind this tea in Anji county, Zhejiang, dates back to 1982 only. Just like the Long Jing tea plant variety, the Anji Bai Cha variety is strongly place-bound. Because of the accordingly limited nature of cultivation space and a short picking period in spring, good qualities of Anji Bai Cha green tea are quite scarce. The tradition of producing tea from the Zi Sun Cha variety reaches back to the time of the Chinese tea sage Lu Yu. Lu Yu mentions the cultivar and the particularities of Zi Sun Cha tea in the first literary work ever about tea, the ‘Cha Jing’, published about 760 AD. The variety is at home in the region around Chaozhou, Zhejiang. The green tea preferentially produced from the Zi Sun Cha plant has a highly individual taste profile indeed, reminiscent of leaf spinach. Just like the above varieties, also this cultivar is highly place-bound. 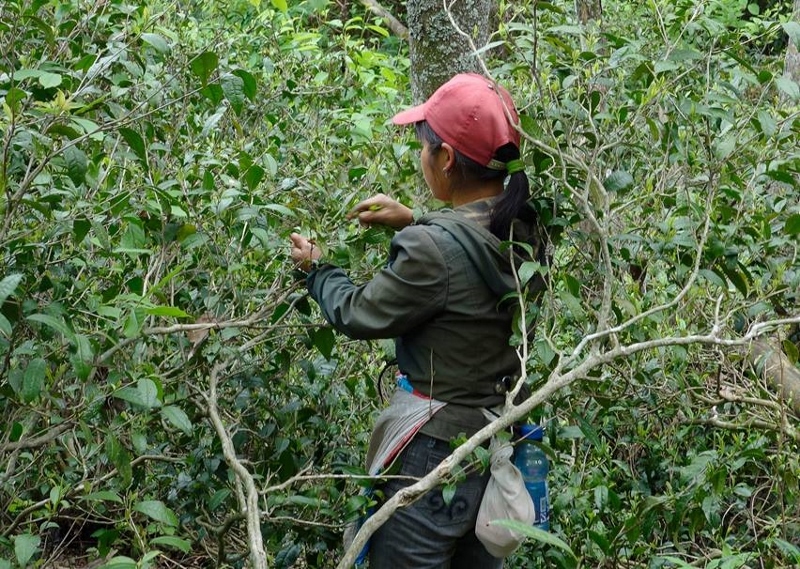 This means that the specific taste of this tea from its original location is not easily reproducible in another place with deviant environmental conditions. 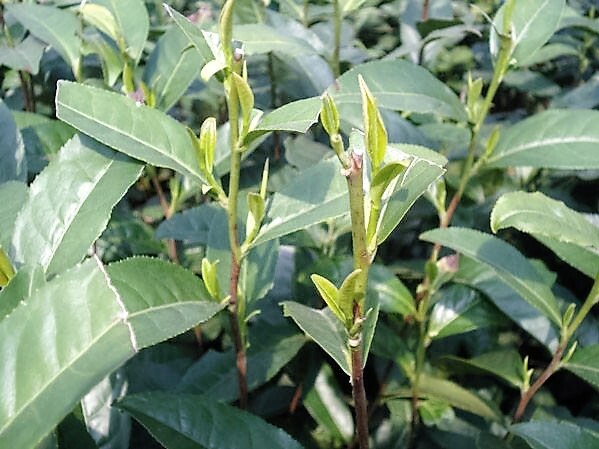 The Bi Luo Chun tea bush variety, whose leaves preferentially serve for producing green tea, is originally at home in the Chinese province of Jiangsu. 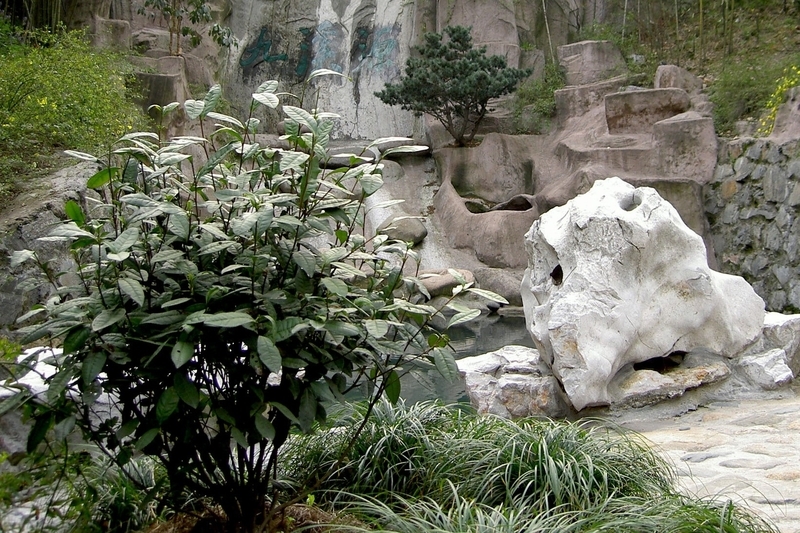 There, in the region around Lake Tai, it unfolds its characteristic features best. However, he cultivar yields surprisingly good results also in regions further west within China, up to even Yunnan. The resulting tea’s taste pattern will change, though, on the cultivar’s path in western direction. For example, the fruity and flowery notes of the Jiangsu original give way to a pronounced nutty taste with Yunnan-originating Bi Luo Chun. Mao Feng Green Tea principally comes from small-leaf bush varieties of Camellia Sinensis in Anhui’s Huang Shan mountain region. Other defining aspects are its origin from altitudes beyond 800 meters and a specific picking standard and time. 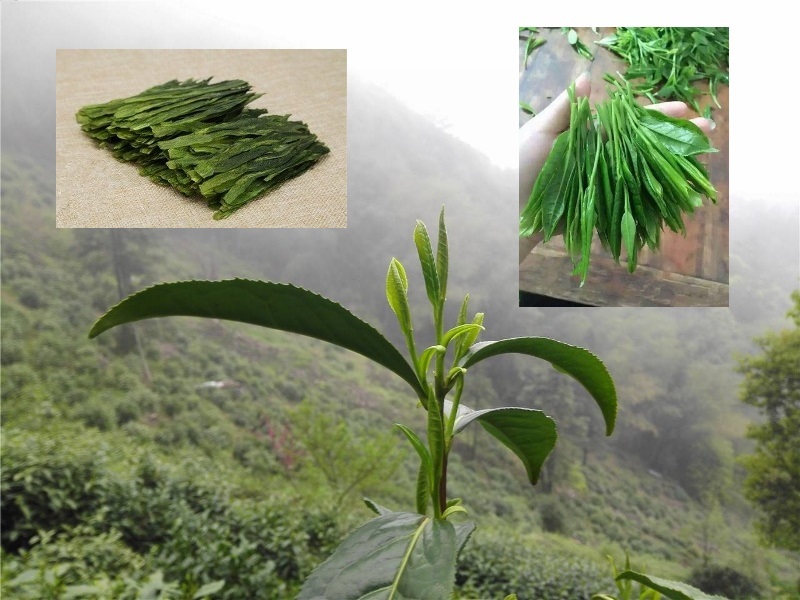 Namely, only the young buds plus the 1-2 adjacent leaves are suitable for picking for proper Mao Feng, exactly at the time when the bud and the first adjacent leave have the same length. Just like Mao Feng, Tai Ping Hou Kui green tea also comes from Anhui’s Huang Shan mountains. However, the latter is yielded from a specific, larger-leaf tea plant variety that grows only in the region around the village of Hou Keng. There, its discovery dates back to the beginning of the 20th century only. The Tai Ping Hou Kui tea plant has significantly larger leaves than the varieties serving for Mao Feng production. Liu An is the capital of the district with the same name in the Chinese province of Anhui. 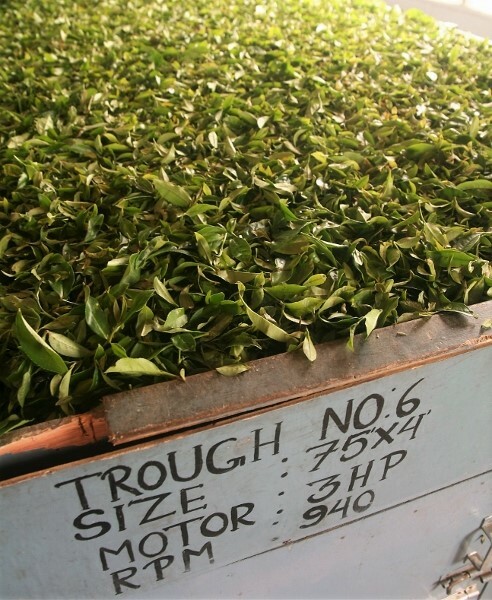 As a standard, the leaves of the local Liu An Gua Pian tea plant variety are processed to green tea. That green tea, however, is anything but standard. It begins with the leaves serving for this tea not being young ones. Rather, leaves are picked once they are beyond their budding stage and have grown to mature leaves. Also unusual is that for Liu An Gua Pian green tea only individual leaves without any stem portion are picked (compare Tie Guan Yin below). The specific rolling procedure gives the leaves their characteristic melon seed (“Gua Pian”) shape. Maojian green tea comes from the region around the city of Xin Yang in the Chinese province of Henan. 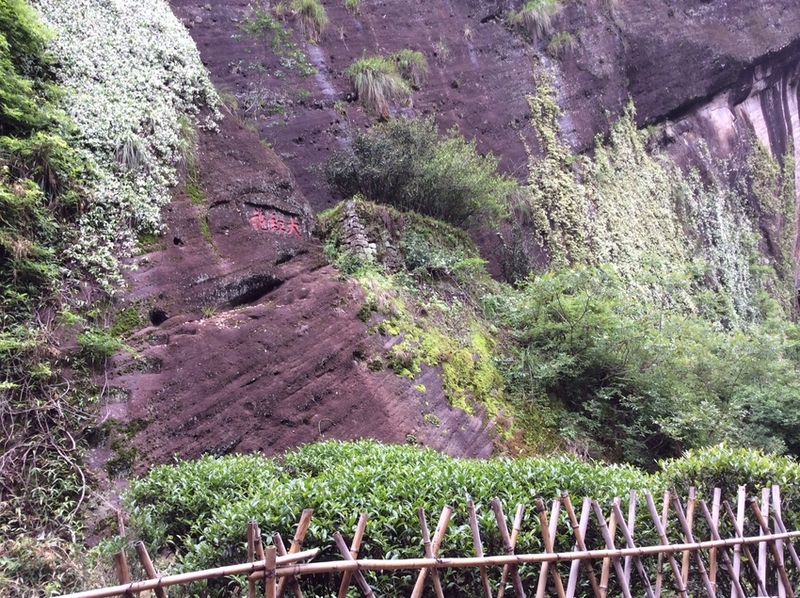 There, a grave find in 1987 hints to a local tea culture dating back at least 2300 years. Like the aforementioned, also this tea is bound to its variety and geographic place of origin for its characteristic properties. Dian Hong Cha is the category term for black teas from the Chinese province of Yunnan. And there are quite some types of Yunnan black tea, differing by picking standard and/or processing method respectively. Whether Yunnan Black Needle, Yunnan Golden Tips or Fengqing Black Tea, all Dian Hong Cha teas share their origin from native Yunnan tea trees. This feature is responsible for a set of shared taste patterns as well. Among these are the sweet cocoa and coffee notes that are typical for Dian Hong teas. Black Keemun Tea comes from the region around Qimen, Huang Shan mountains, Anhui. There, it is yielded from the same small-leaved tea bush varieties than Mao Feng Green Tea (see above). The specific tea plant varieties had been brought from Fujian to Huang Shan in the 2nd half of the 19th century only. There, they soon developed an individual profile, the one that black Keemun (or green Mao Feng) teas have gained a reputation for today. Lapsang Souchong, worldwide famous for its special smokiness and corresponding processing features, is inextricably linked to the Bohea variety, at home in Wuyishan, north Fujian. Now, the smoking of the tea leaves would effectively overlay much of the subtle qualities of high picking standards. This is why mostly a lower picking standard applies to picking tea leaves for Lapsang Souchong. Just like Lapsang Souchong, Jin Jun Mei Black Tea comes from the Bohea tea bush variety, at home in Wuyishan, north Fujian. However, other than Lapsang Souchong, Jin Jun Mei always displays a particularly high picking standard. This can be 2+1, but very often will be 1+1, or even pure buds. The higher the picking standard, the greater the picking effort, and the lower the yield. Consequently, the price of a tea rises with its picking standard. Even more than with green or black teas, the specific suitability of a tea variety is decisive regarding its use for Oolong tea processing. In China, such varieties’ prevalence focuses on 4 regions: Wuyishan in north Fujian, Anxi in south Fujian, Guangdong and Taiwan. A glance on the China map shows that these regions together cover a rather small geographic spot. 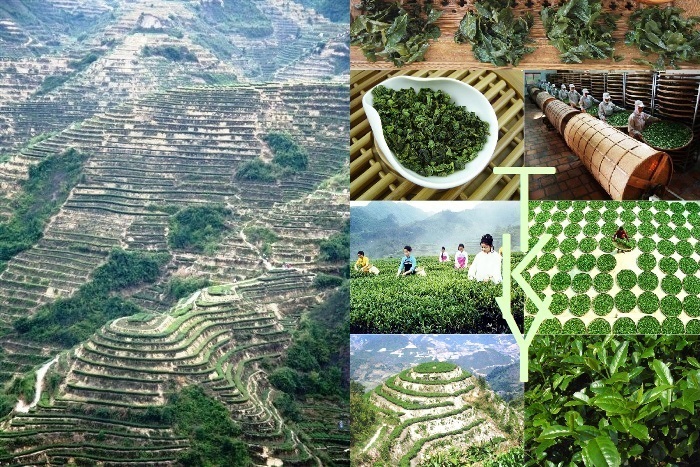 North Fujian’s Wuyishan mountains are home to a sheer countless number of different Oolong tea cultivars. One characteristic of these varieties and the teas produced from them is their high mineral content. 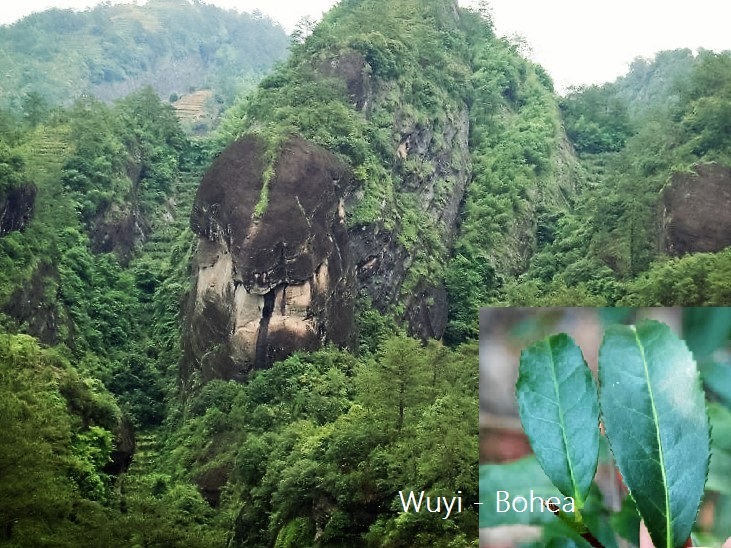 Coming from the rocky Wuyi soils, this has earned the Oolong teas from Wuyishan the category name “Rock Oolong Teas”. The region’s native tea cultivars, among them Da Hong Pao, Tie Luo Han, Shui Jin Gui and Bai Ji Guan, have been cultivated there since more than 1000 years. Each of these varieties produces its own unique tea with the same name. The same applies to Oolong tea cultivars that have been brought to Wuyishan from other parts of China later because of the superior qualities of Wuyi soils for tea cultivation. Among these are the popular varieties Shui Xian and Rou Gui. Anxi County is not too far away from Wuyishan, in the south of Fujian province. There, another Oolong tea cultivar produces results, that are completely different from Wuyi Oolongs. Instead of mineral and earthy notes, Tie Guan Yin Oolong tea please with a honey-sweetness that is unparalleled among pure teas. However, there are various – both traditional and modern – processing styles for Tie Guan Yin Oolong tea. Therefore, referring to Tie Guan Yin Oolong tea as ONE type of tea is quite a bold simplification. 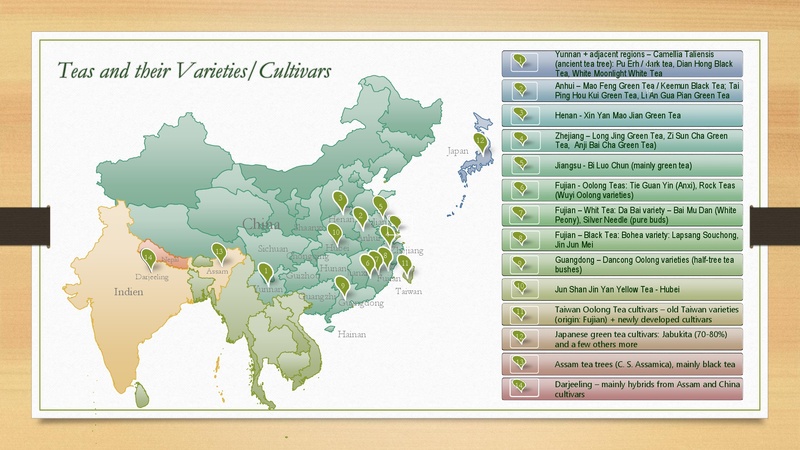 Still, what all Tie Guan Yin Oolong teas have in common is the cultivar they come from. The Dancong tea plant varieties are very typical representatives of the so-called “half-tree tea bushes”. This is a kind of interim stage between the tea plant’s bush and tree species. Their home is the Huang Shan mountains in the Chinese province of Guangdong. There’s quite a number of individual Dancong varieties, each of which produces a tea of its own. The best known and most popular Dancong Oolong Tea is Mi Lan Xiang (Honey Orchid) Dancong. It comes from the Dancong variety, and its honey-sweet orchid aroma truly lives up to the tea’s name. 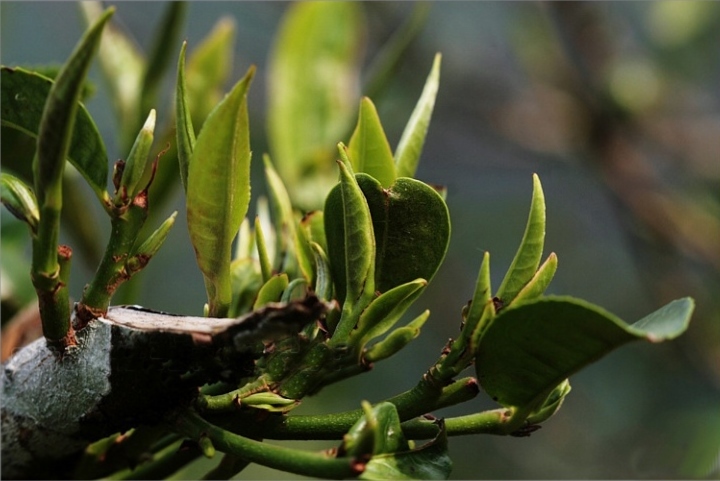 Pu Erh Teas are inextricably linked to the tea tree variety native to Yunnan, namely Camellia Taliensis. One defining criterion for Pu Erh teas is a specific featrue of Pu Erh tea processing, namely “aging”, or “ripening”. 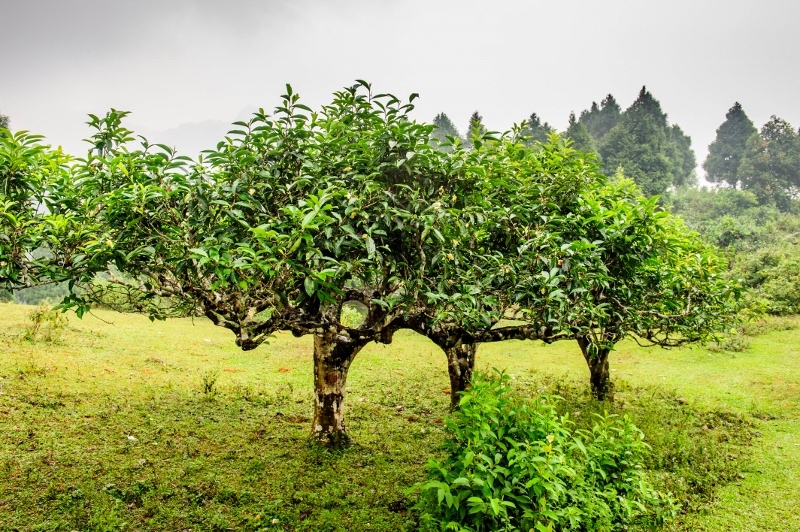 In addition, only leaves from Yunnan tea trees – and in the narrowest sense only from such growing in the region of Pu Erh – qualify as a Pu Erh Tea. 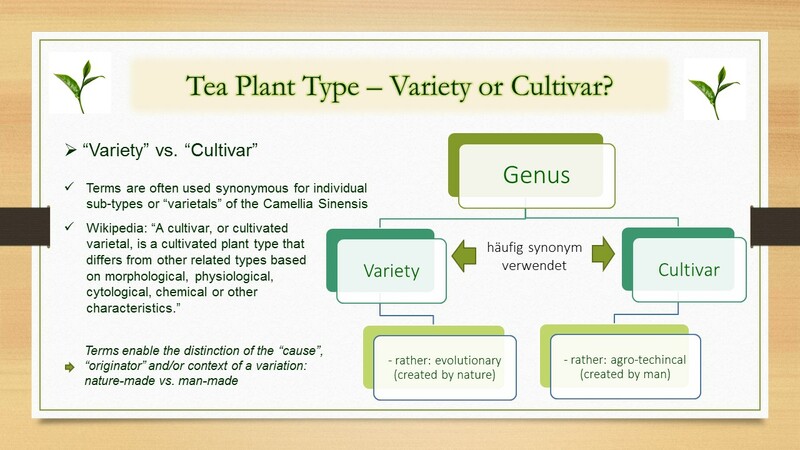 This is because just like the small-leaf tea bush, also the tree form of Camellia Sinensis has several sub-types. Therefore, the regional limitation of the Pu Erh Tea to some degree prevents similarly processed teas from other varieties growing outside the Pu Erh region to be sold as “Pu Erh Tea”. In turn, such teas are referred to as “Dark Tea” (“Hei Cha”). Consequently, the different types of Pu Erh tea or dark tea do not derive their individual identity from different tea plant varieties. Rather, there are basically 2 types of Pu Erh or dark tea: “shu” or “sheng”, i. e. “ripe” or “raw”. Then, other definition criteria for individual sub-types are their exact place of origin, age or ripening method. White Tea and its two main types, Bai Mu Dan (also: White Peony, picking standard 1+1 or 1+2) and Silver Needle (also: Bai Hao Jin Zhen, pure buds picking standard) have 2 different roots. The one of these roots is geographically located in Fujian province. There, the production of white teas is linked to the “Da Bai” tea variety, at home in the region around Fuding. The second geographical root lies in Yunnan, where the production of white tea – both styles – also has a long tradition. Meanwhile, white teas also come from other places and other varieties. For example, in India white teas are produced both from Assam and China varieties, and in Vietnam from native tree varieties of Camellia Sinensis. The origin of Yellow tea goes back to the times of the Ming dynasty (14th – 17th century). Back then, it served as a tribute tea to the emperor. Its production was limited to the island of Junshan, located on Dongting Lake, in Hunan province. Accordingly, the Junshan Yinzhen (Yunshan Silver Needle) was linked to the tea cultivar local to the island. In other places, the specific yellow tea processing method does not yield comparable results. Consequently, genuine yellow tea is a true rarity until today. 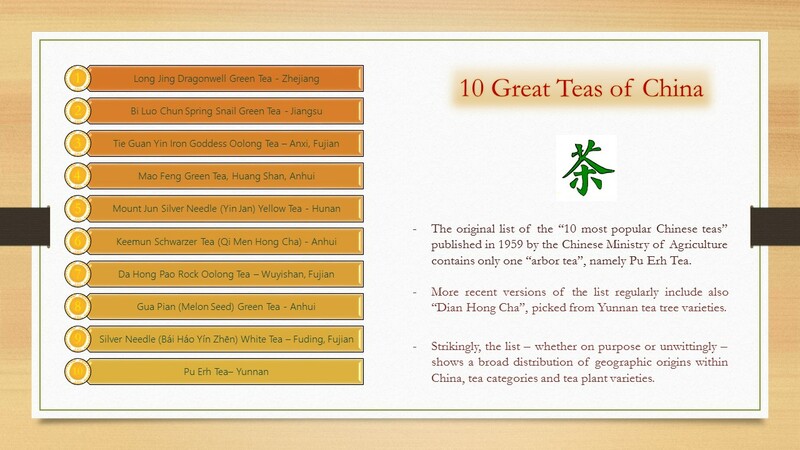 Every now and then, the Chinese agricultural ministry publishes an update to its “10 Great Teas of China” list. The first version of the top ten list dates back to 1959. However, at any time the list appears to represent an equal distribution of its ranks between the various Chinese tea provinces and regions. At this, a province or region is mostly represented by its most popular type of tea for which it is most popular. Though also green tea and some renowned black teas come from Taiwan, the country mainly has reputation for its diversity of fine Oolong teas. This goes with a just as great number of individual tea plant varieties and cultivars that are suitable for Oolong tea processing. 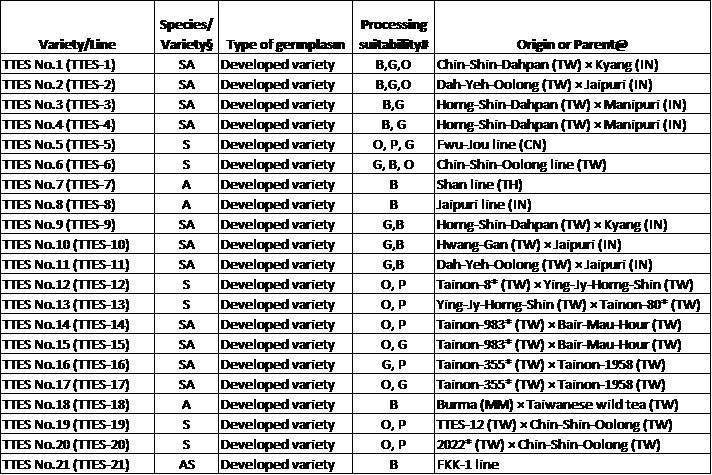 And for Taiwan, distinguishing naturally evolved varieties from man-bred cultivars is of particular relevance. Originally, tea plant varieties were brought to Taiwan from the nearby mainland province of Fujian in the 17th century. However, on the island “Formosa”, as Taiwan had been named by the Portuguese 100 year earlier, these varieties quickly began developing characteristics of their own. The varieties emerging this way form the portfolio of “old” Taiwanese tea plant varieties. In many cases, the link to the original China variety and the respective type of tea is still well traceable. A popular example for this is “Dong Fang Mei Ren” or “Oriental Beauty Oolong Tea”, whose production has a tradition both in China and in Taiwan. Originally, it had been processed from the “Chin Shin” tea bush variety in both countries. During the 20th century, the Taiwanese government took on intensive efforts to research and extend the national tea plant varieties portfolio. 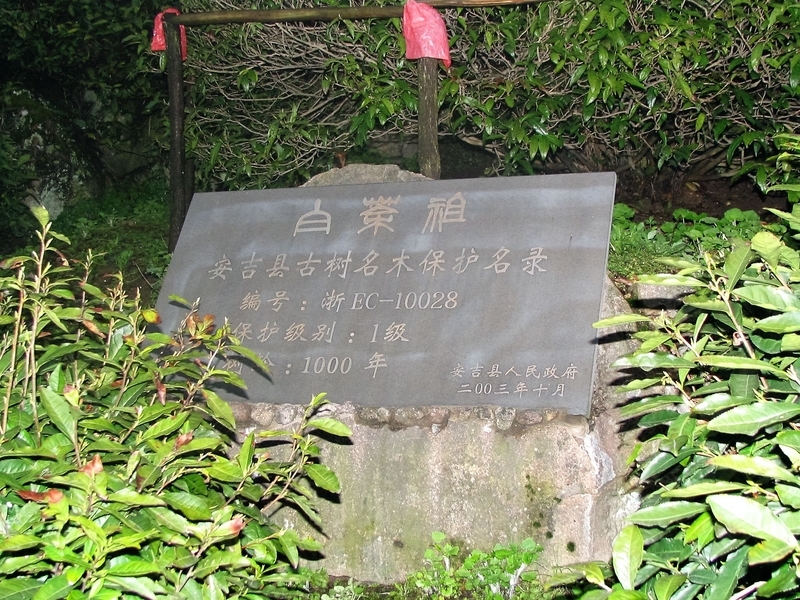 With focus on regions particularly suitable for tea cultivation, so-called TTES (= Taiwan Tea Experiment Station) were established across the country. In these, researchers took on the development of cultivars with specific properties in orientation on given requirements profiles, such as climate or pest resistance or full year cycle yield. Today, Taiwan exports the fruit of this research, cultivars such as Jin Xuan, Ruan Zhi and Four Seasons to other countries seeking to cultivate tea. 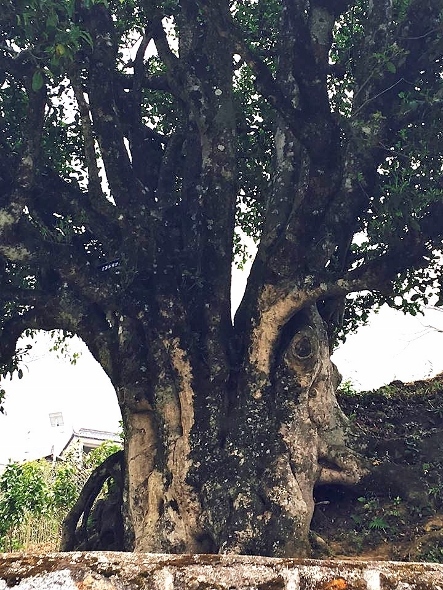 Apart from this, Taiwan has a native tea tree variety – Camellia Formonensis – growing up to 8 meters high. Unfortunately, their population has shrunk to a meanwhile protected small number. Accordingly, tea from this variety is exorbitantly rare, or not even available at all, on the market. While diversity might be a characteristic of teas and tea plant varieties in China and Taiwan, the opposite applies to Japan. One single variety, Jabukita, provides for 70-80% of all tea plants in Japan. The individual types of tea do not derive their identity from a specific cultivar, but from specific picking standards, picking periods and processing characteristics. The main reason for the low diversity of Japanese tea cultivars is the Japanese taste in tea. For once, green tea is the most popular type of tea in Japan. 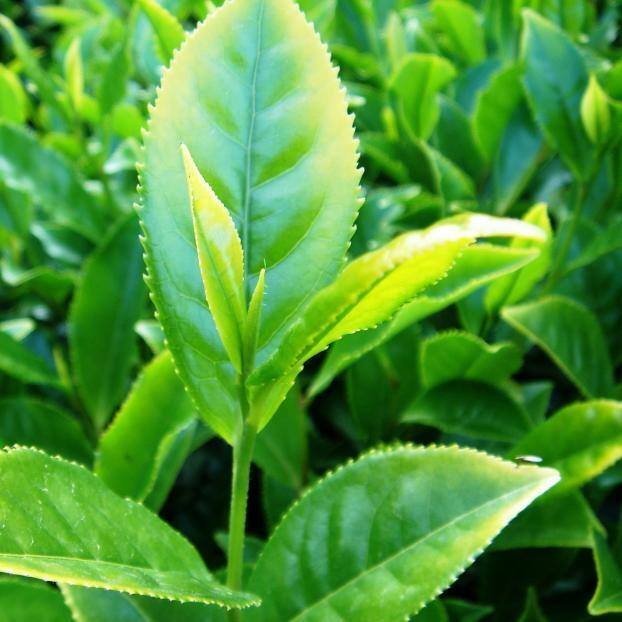 Then, it is the specific taste of green teas from the Jabukita cultivar that makes that variety a preference there. Apart from Jabukita, there are only few other tea plant varieties of importance in Japan. Examples for such would be Yutaka Midori, Yume Kaori and Benifuki (an Assam-Yabukita hybrid). So, a Shincha Tea for example defines through being fresh from the first spring picking. By contrast, Kabuse Cha or Gyokuro – so-called “shaded teas” are defined by the degree and duration of shading. And a “Fukamushi Cha” (= deep-steamed tea) got its name from an extended steaming process. At this, which cultivar the tea leaves come from is rather secondary. And in the very most cases, it will be the Jabukita variety. Especially in the “cradle countries” of the tea tree, there are more sub-varieties of the tree type of Camellia Sinensis. An example is the native Vietnamese “Tuyet Shan” (translating to “snow high mountain”) tea tree. It looks quite different from its Assamese, Chinese or Taiwanese siblings, and the teas coming from it show a taste pattern of their own. In the course of time, individual tea plant varieties also developed in other countries, where the tea plant had been brought. For once, this can take place through natural adaption processes. Another possibility is the crossbreeding of different varieties. At this, the goal is to optimize the resulting cultivars for the given conditions in specific places. A good example for this would be Darjeeling, where hybrids from Assam and China tea plant varieties have become a standard.